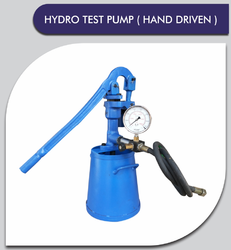 We are offering a wide range of High-Pressure Hand Driven Hydro Test Pump. Water Tank Capacity 22 Ltrs. We are offering a wide range of Hand Driven Hydraulic Test Pump. We are offering a wide range of Hand Driven Pressure Testing Pump. 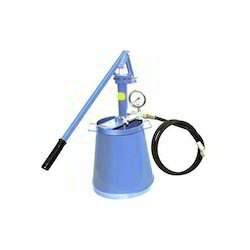 Type Hydrostatic Test Pump with Hand Operated. 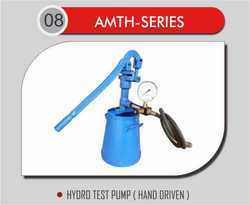 We are offering a wide range of Manual Hydro Pressure Test Pump. Water Tank made from Mild Steel Capacity:- 22 Ltrs. We are offering a wide range of Hand Driven Hydro Testing Pump. 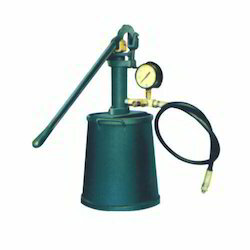 Pump Type Hydrostatic Test Pump with Hand Operated. We are offering a wide range Manual Hydro Testing Pump. 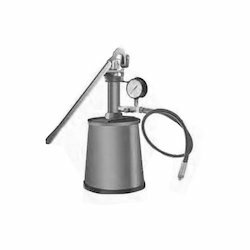 We are offering a wide range of Manual Pressure Test Pump.